Under the theme ‘Discover the Digital Today’, Schuler will be showcasing its latest solution – the servo press MSP 400 at the trade fair. In addition to this, the firm will also be exhibiting a virtual training system so that visitors can get acquainted with this unique concept. Majorly owned by the Andritz Group, Schuler has made a strong mark for itself in the global forming technology market. 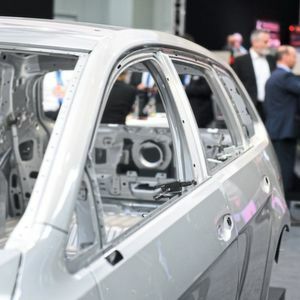 The German-based company offers a wide range of solutions including presses, automation solutions, dies, process expertise and service for the metalworking industry as well as for lightweight automobile construction. With the changing needs of the customers in today’s scenario, the firm is carrying out numerous R&D activities in order to introduce new, better and efficient solutions. The EuroBLECH 2018 show is scheduled to be held from October 23–26, 2018 in Hannover, Germany. Under the theme ‘Discover the Digital Today’, Schuler will be exhibiting its innovations in booth F82, Hall 27. One such recent development by the firm is the MSP 400 servo press which it plans to showcase for the first time to the public at the upcoming international sheet metal working technology exhibition. Equipped with highly dynamic servo drives, the 400 tonne press is capable of travelling at an oscillating stroke of up to 70 strokes per minute. Suitable for both progressive and transfer mode, the control of the machine has been designed interestingly and is similar to how one operates an app on a smart phone. Through the app operators can now select from predefined movement profiles or even programme them freely. Another interesting feature of this press is that forming at the bottom dead center is slow owing to the kinematics of the knuckle-joint drive. This simple mechanism proves beneficial as one does not need to carry out readjustment via the servo drive every single time. The MSP 400 servo press also comes packaged with the ‘Smart Assist’ software that guides the operator through the setup process in a detailed manner. To make it interesting and easy to understand for the operator, the software is also supported by small videos and text modules. It is also a boon as it saves precious time by optimising the transfer and slide profiles to maximum the output depending on the clearance profiles. At the EuroBLECH trade fair, Schuler will also allow visitors to get an insight about its new virtual training system which is supported by the firm’s Forming Academy. 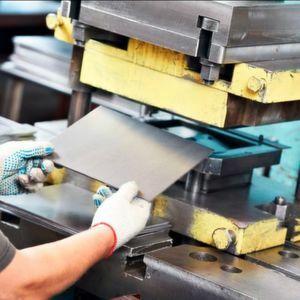 The session offers operators with a basic training course on how to handle and manage real forming systems in the press shop. This activity is carried out in virtual space and hence, other happenings on the shop floor such as production processes are not disturbed. 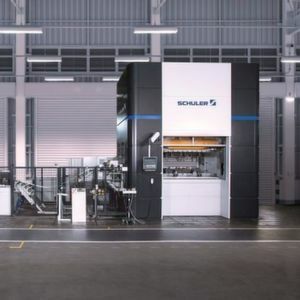 Schuler knows how to impress the crowd and it will be interesting to see how visitors react to the company’s latest cutting edge innovations in the midst of leading technologies from across the globe.